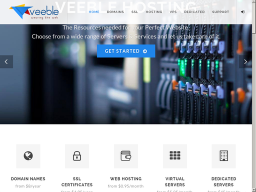 I switch to Veeble last month and have had the best customer service and tech support experience while transitioning my websites. The chat response time is quick no matter what time of day or night. Everyone has been extremely polite and knowledgeable, and they've solved the issues I've had. This has been a great experience so far. Good host they are! I'd recommend them for anyone! My expereince with this host is positive. They are good at delivering quality services taking into account the needs of all their customers. They do have an active tech staff who is online for 24 hours. I had some problems and they helped me within 15 minutes to fix the issue. So I have to say that they do have honest prices and I did get what I paid for. Plans are full of useful resources and there was no downtime on them that I experienced. Good host they are! I'd recommend them for anyone!